Get to the game in style with customized team shooter shirts. Personalize your shirts after selecting from a variety of styles in moisture-wicking fabrics. *Pricing based on team order of 12 shooter shirts or more. Call now for individual shooter shirt pricing! When you're looking for the perfect shooter shirts for your basketball team, who do you turn to? Like it or not, basketball wear is an important part of the game. Good looking sportswear may not actually make you perform better, but there is something about well designed sportswear that just makes the team look more intimidating. 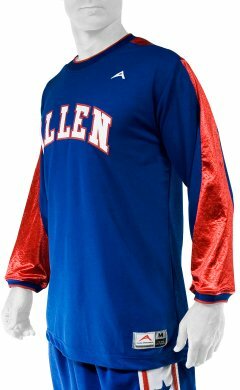 When you need a custom basketball uniform for your team to storm the court in style, contact Allen Sportswear. 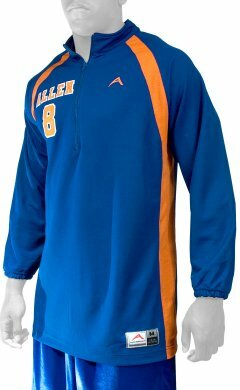 We are a leading supplier of sports uniforms, apparel and accessories to schools, universities, nonprofit and AAU sports teams. Our company's headquarter is in Orlando, Florida, and we make quality, affordable sportswear. 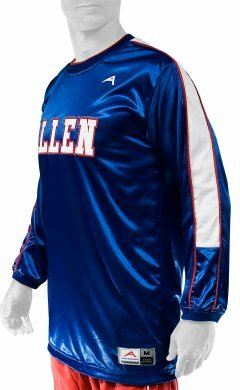 So if you are a parent or coach of a basketball team that is searching for a reliable source for well designed sports uniform for your team, we have you covered. 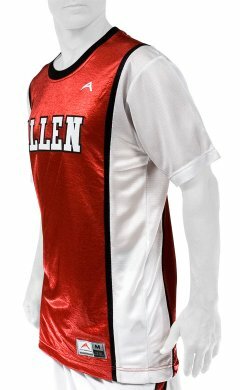 We are dedicated to making your team's basketball shooter shirts and sportswear purchase a smooth and easy process, allowing you to focus on other important tasks. 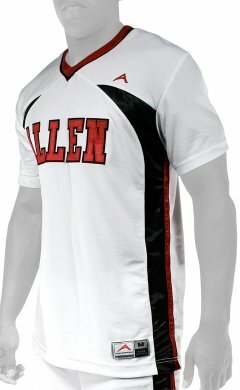 All of our basketball shooting shirts and other sportswear is custom designed and made right here in our own factory. We offer a variety of high-quality fabrics and a vast range of attractive styles. 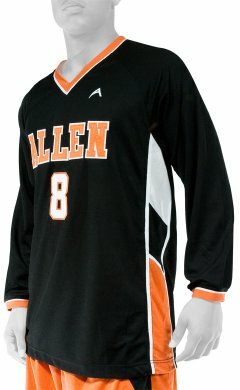 Browse through our selection of basketball shooter shirts. 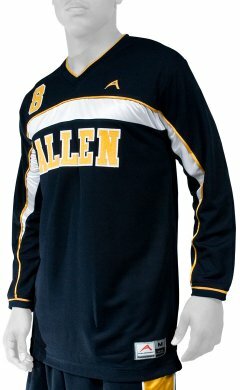 Our basketball shooting shirts are available in different sizes and styles. 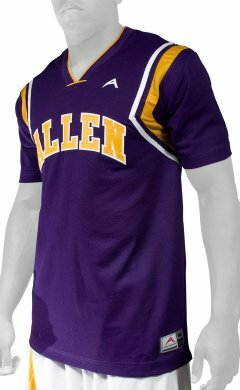 There are a host of options to choose from as well, and although these basketball shooter shirts are custom made, we can process and deliver your order in a timely manner. 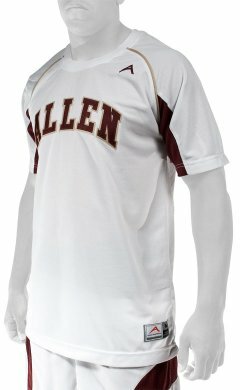 We will strive to meet all of your expectations when it comes to getting athletic clothing for your team. 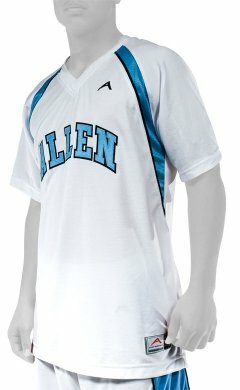 We are here to make sure you are completely satisfied with your shopping experience at Allen Sportswear. We strive to provide our customers with the best price and service available. If you need help with anything, tell us. We pride ourselves on having a dedicated and knowledgeable customer service team and a broad selection of sportswear and accessories. 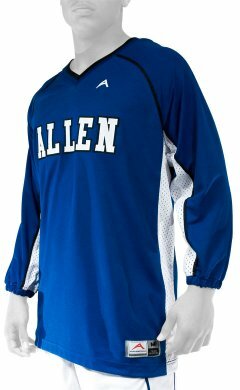 Top quality, fast shipping, and affordable prices help make Allen Sportswear the most reliable source for basketball shooting shirts and basketball accessories. Give us a call today.